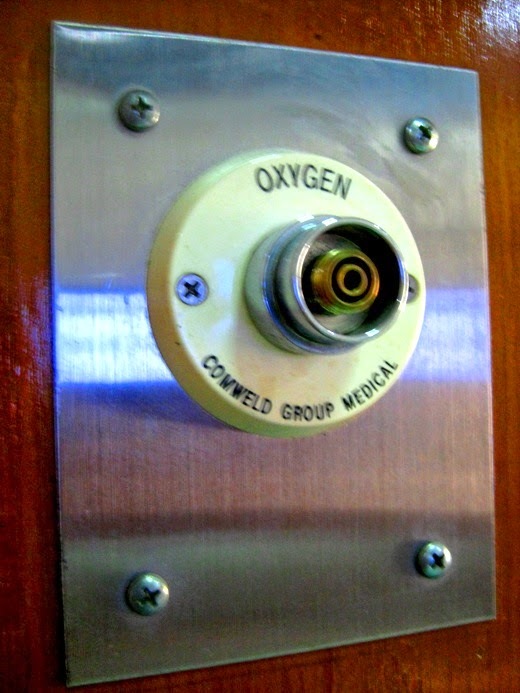 This oxygen hole located at the wall-mounted wood panel near the bed at a hospital room where my SIL was hospitalized last month. The round stuff is in light yellow; unfortunately my capture didn’t show it well. My father was hospitalized last month and was using the oxygen! Now you do at home! Interesting. I do hope she's doing much better. she ok now? once I went to hospital, they gave me some oxygen, it felt cold.